Pay to all what is owed to them. A clear conscience is worth its weight in gold. When one’s desk is piled high with bills the action of paying off what is owed provides a sense of order but also perhaps a pound of anxiety if times are tough. If you are breathing, bills are a reality and so is making sure that you prioritize your expenses so that those bills can be paid promptly. There’s nothing like monthly bills to remind us of the importance of prioritizing. Establishing a budget that, hopefully, coincides with our needs we prioritize ahead of time for the payments that are required. 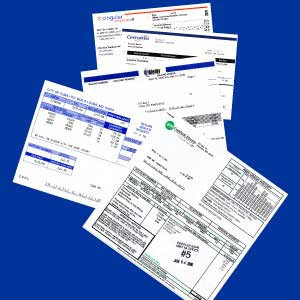 Consequently, we’re not surprised when a bill arrives because we have spent the time preparing. We consider it important to have the money to make the payments. Isn’t it a wonder then that we find it difficult to pay what is owed to God, namely our time? We wouldn’t think about not paying our bills. And yet each day, at the sun’s rising a daily bill is presented reminding us of what we owe. The God who set the sun in place is owed our lives. The payment is prioritizing our day to be in conversation with Him. Like forgetting to pay a bill and finding the electricity shut off, forgetting to give God one’s time could also prove detrimental. When we make conversing with God a priority nothing comes as a surprise. We are prepared and ready for anything because we’ve invested ourselves in God’s presence. The dividends will help us survive even the most challenging of times. Father, you created me in your image. Jesus, you show me how to live. Holy Spirit, you bring me comfort and guidance. Today and every day my priority is to spend time in your presence.